Run the streets of New Bordeaux from your mobile device. 2K and Cat Daddy’s new mobile battle RPG, Mafia III: Rivals, hits iOS and Android on October 7, 2016. Experience the diverse and dangerous New Bordeaux from a whole new perspective – and a completely different way to fight your way to the top of the criminal underworld with characters, locations and events based on Hangar 13’s Mafia III. Assemble your crime syndicate by seizing property, collecting loot (including weapons and vehicles) and defeating any rival mobs that interfere with your plans. Begin your life of crime squaring off against rival gangs in battle RPG combat. Recruit and train 40 crime bosses from the Mafia III universe as they join your crew, and destroy any foes getting in the way. Outfit New Bordeaux’s newest hit squad with an assortment of deadly weaponry and other gear. Join up with friends and battle players worldwide to see who has the deadliest crew in New Bordeaux. 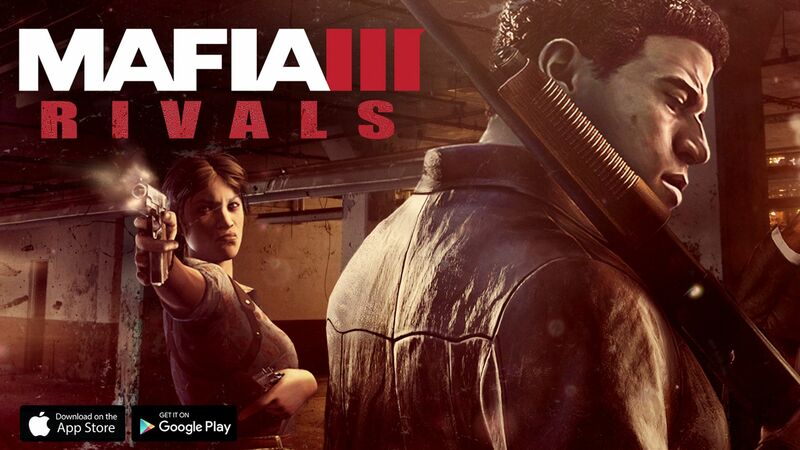 Pre-register for Mafia III: Rivals now at www.mafiagame.com/rivals for in-game bonuses when the game launches for free on October 7. Stay up-to-date on Mafia III Rivals on Facebook and Twitter. Also check out Mafia III for PlayStation®4 computer entertainment system, Xbox One and Windows PC. Developed by Hangar 13, Mafia III will be available October 7 and is rated M for Mature by the ESRB. For more information on Mafia III, subscribe on YouTube, follow us on Twitter and become a fan on Facebook.